Discover some of the most important cultural monuments, historical places, city squares and beautiful streets on our panoramic tour of Belgrade! 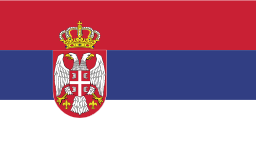 Belgrade is Serbia’s capital city, the largest city in Serbia and one of the oldest cities in Europe. 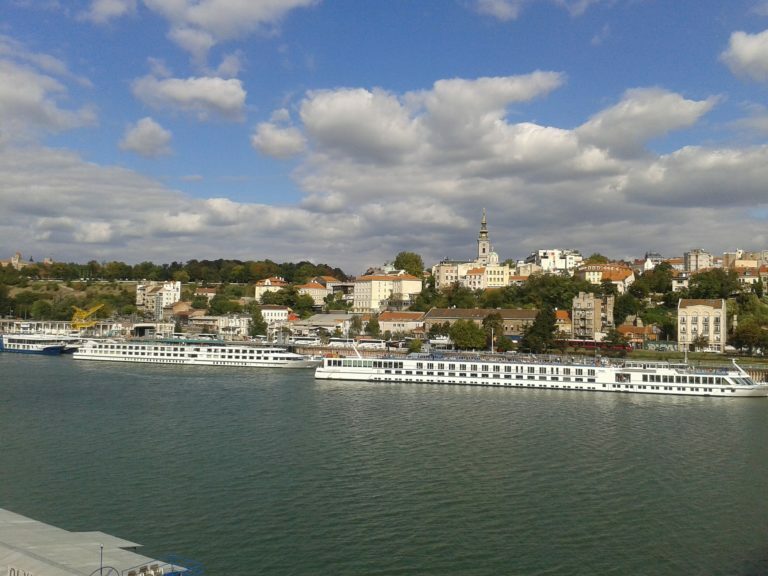 The city was built on the confuence of Sava and Danube rivers. The most significant part of the city is Belgrade Fortress. It is the oldest area of the city that was rebuilt numerous times by many different conquestors of Belgrade in city’s long history. It was built by Romans, renewed in medieval time and changed once again during the long Ottoman rule in Serbia and a short Austro-Hungarian rule in 18th century. Today this place is a true witness of all those changes that can still be seen at the Upper and Lower town of the fortress with many gates and walls, towers, churches and cultural monuments. Symbol of Belgrade Fortress is Victor monument built in 1928, a work of a famous sculptor Ivan Mestrovic. Kalemegdan Park is located around Belgrade Fortress. The name comes from the Turkish language – kale, meaning castle and megdan, meaning a field. As its name suggests, this park is designed as a field in front of Belgrade Fortress in 19th century. 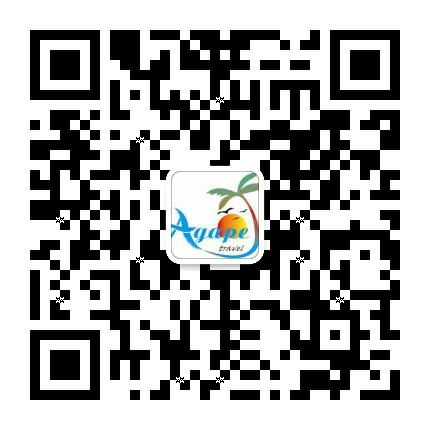 Today it is the most visited green area of the city where you can enjoy a beautiful panoramic view of the whole city. Central street and the main pedestrian and shopping zone is named Knez Mihailova Street. 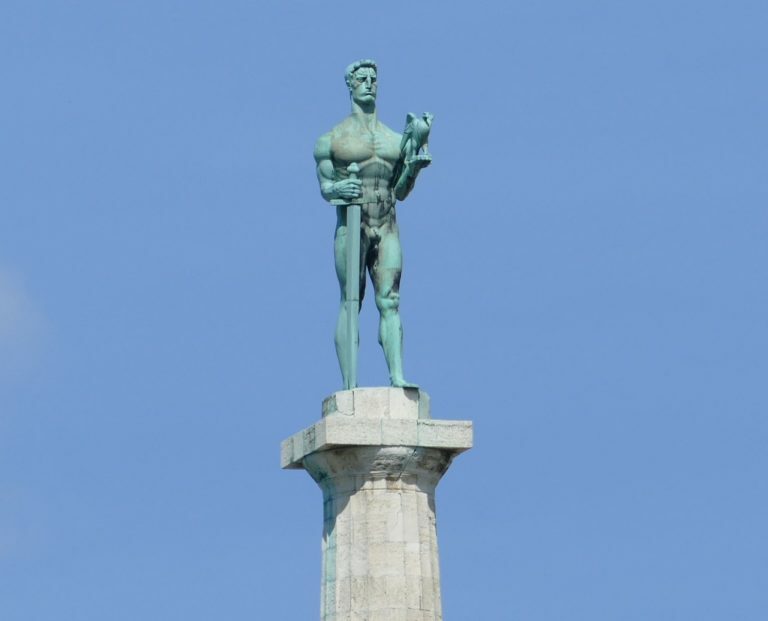 The street is named after a famous Serbian Prince Mihailo Obrenovic whose equestrian monument you can find on the main city square – Republic Square. 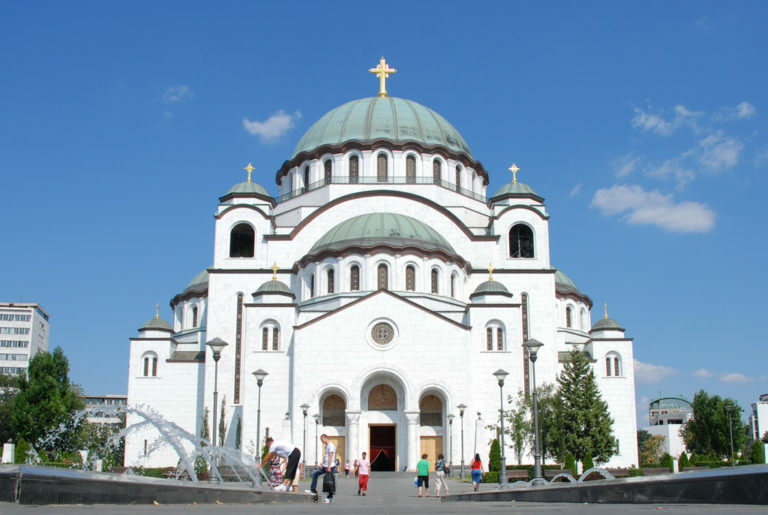 Saint Sava Temple is the biggest Ortodox church in Balkans and one of the largest in the world. 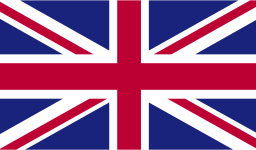 The construction of this magnificent object started in 1935. The interior of the church is still under construction, while the exterior was finished in 2004. 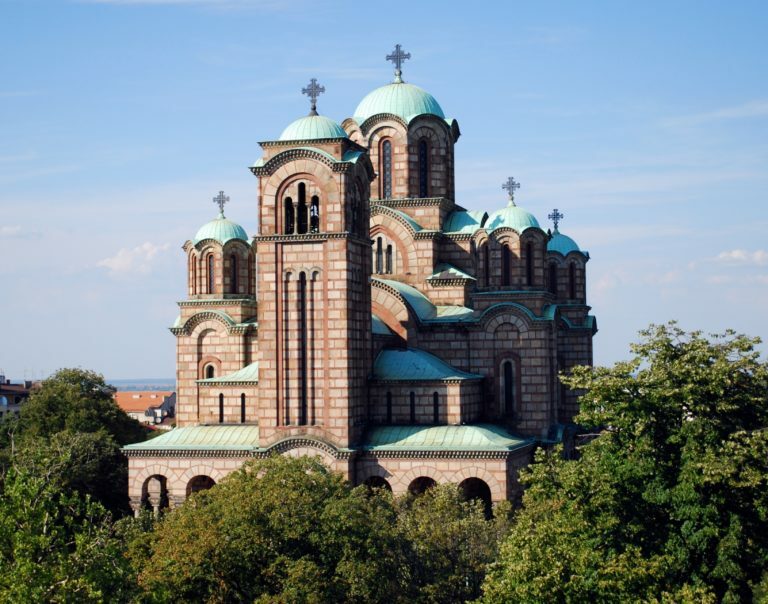 The church is dedicated to Saint Sava, the founder of the Serbian Orthodox Church. 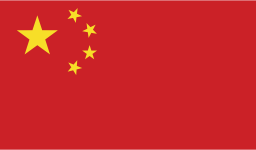 Its domes have 18 gold-plated crosses and the bell towers have 49 bells. 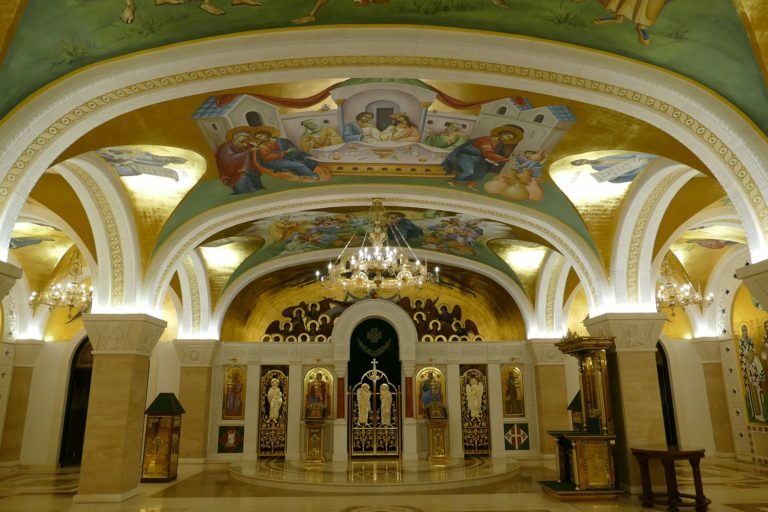 Saint Sava Church – the biggest Ortodox church in the Balkans. House of Parliament, City Hall and Saint Mark’s church. House of Parliament, City Hall and Saint Mark’s church are located in one of Belgrade’s longest street, King Alexander Boulevard. 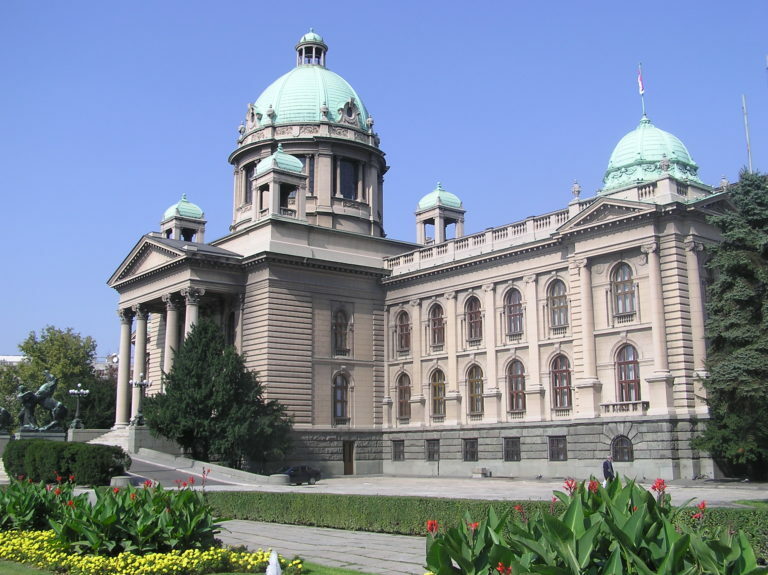 The House of Parliament – former Parliament of Yugoslavia and today the Parliament of Serbia, was built at the beginning of the 20th century, while the City Hall, or more famous as the Old city Palace, represented the royal residence of important Serbian dynasties – Obrenović and later Karadjordjevic dynasty through the 19th and 20th century. Saint Mark’s Church is one of the biggest Ortodox churches in Belgrade built in 1940 in the Serbian-Byzantin style of architecture. Terazije Square, a central city square, with Terazije Fountain, Moskva and Balkan Hotels, Albania Palace, one of the first skyscrapers in Belgrade. Republic Square, the city’s most famous square. Monument to Serbian Prince Mihailo Obrenovic dominates the square, surrounded by the National Theatre and National Museum of Serbia. Belgrade Fortress, city’s most important landmark, situated on the confluence of two rivers – the Sava and the Danube. 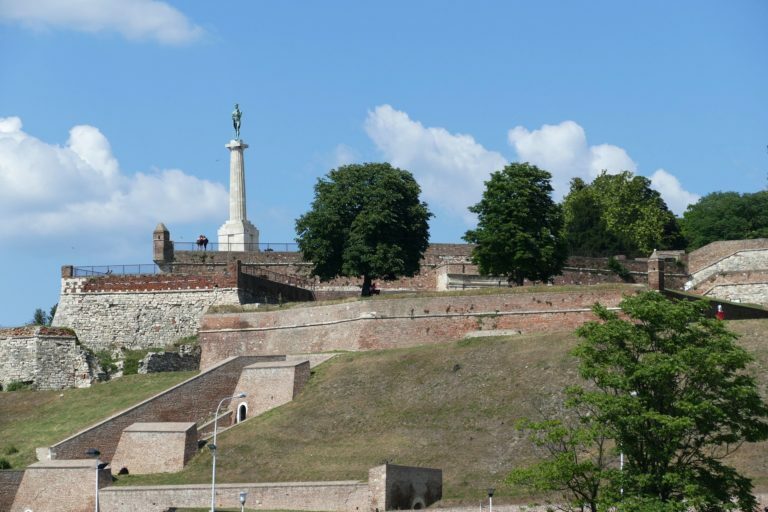 The Fortress is surrounded by Kalemegdan Park and many historical sights like Victor monument, Clock tower, Gratitude to France monument, Military Museum, Roman well etc.